Magpie's Recipes: quick cooker carrot pal paysam and a girl's day out in the city! quick cooker carrot pal paysam and a girl's day out in the city! Gosh has it been a long time since my last post! Where to begin. Well I started working with a non-profit. Even though it is only part-time and I get to work from home, it has been challenging managing deadlines and conference calls, what with having to report to a toddler as well, who we all know is the most demanding kind of boss! While I have been cooking some and photographing a little, sadly blogging was put on the back burner. I wished for more hours in the day, but what I was really lacking was motivation. And then last week, much needed motivation came in the form of my lovely friends and super talented fellow bloggers Vijitha, Prerna and Kankana. Along with two other new friends, Viji's Mom and our kids, we took a day off from our everyday routines to meet up in the city. We had been planning and discussing this for weeks. The night before we all made and packed snacks for the little ones, yummy beetroot parathas, ragi patties, chocolate loaf and some vattayappam from me ( recipe coming soon) I was so excited the night before I could hardly sleep, just like before long ago school excursions! On the morning of our trip, I had a long call from work and all along I kept thinking of the bus I had to take to go meet the girls and if I missed it (which I did) I would have to wait an hour for the next one. Thankfully T came to the rescue dropping me off to the ferry landing so that I could take the ferry to San Francisco and I must say we traveled in style! My little monkey and I thoroughly enjoyed our ferry ride and I am so glad I ended up missing that bus. If there is one thing that I learnt in life is that everything is much, much better shared with a gang of girl friends. Whether it be prawn pickle in a hostel mess or pre-exam panic, or a beautiful outing. I miss my girl friends and roommates from my college and hostel days a lot and was beginning to think I would never be able to enjoy that kind of female bonding again. I am so thankful to have met some good friends even after moving here and at this stage of my life as a mom, when I think I need friends most! We talked and laughed and munched, wandering through the market, pushing our strollers with our naughty toddlers along, while around us the city whirled and buzzed. Smartly suited professionals out for lunch waited patiently behind us as we discussed and debated what to order at the numerous little stalls within the ferry building.Young couples out on a date and nosy little pigeons edged out of the way of not one, not two, but four strollers and us large group of chattering women, brandishing our cameras and clicking away. We must have been quite a sight! 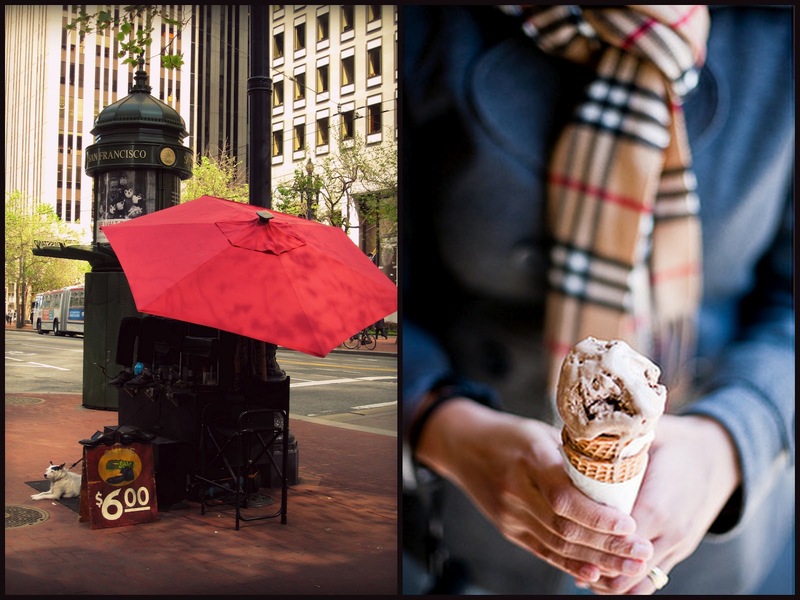 I only took my point and shoot along and left the photography to the experts, but then they decided they wouldn't let me eat my ice cream in peace and suddenly, my melting malted chocolate cone from Humphry Solocome was caught up in the middle of a full blown photo-shoot. I love that picture taken by Prerna and you can see Kankana and Viji's versions on their blog posts, beautifully capturing our magical day at the San Francisco Ferry building. There was a farmers market happening that day and some of the girls bought gorgeous heirloom carrots to take home. 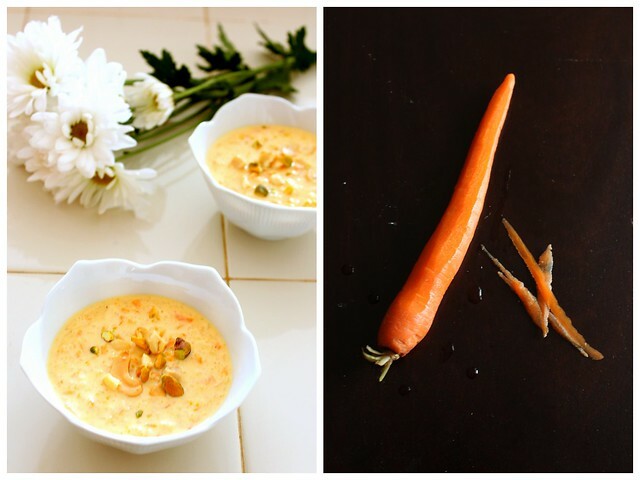 Since they posted their carrot dishes as part of or impromptu group blogging activity to record our magical day out, I thought I too would blog about this super easy and very delicious cooker carrot pal payasam- a perfect spring time dessert! Pal payasam is a sweet milk pudding that is commonly served in temples as prasadam in Kerala and most of South India. Phirni is a similar sweet dish, popular in North India which is served in clay pots which impart an earthy flavour and draw out the water, making the pudding thicker and creamier. While we add a handful of rice to give the sweet some body, it is not really a rice pudding, more of a milk pudding I think!. 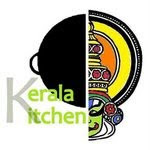 I used basmati rice although traditionally a special type of payasam rice called Unakalari is used in Kerala which imparts a pinkish colour to the pudding. You could use brown rice, but do not use glutinous or sticky Asian rice. This payasam is mainly sweetened milk which is slowly cooked, stirring for hours until it has reduced and tastes somewhat like condensed milk. Often it is made with creamy buffalo milk. I made this in the pressure cooker, so it was super easy and quick, but you can also make this in a slow cooker or the traditional way-cooking it in a wide pot ( so that there is more surface area for the water in the milk to evaporate faster) until the milk has reduced to half it's original volume, though you have to watch that the milk at the bottom of the pan doesn't burn, so you have to stir it occasionally. I added some grated carrot which melded very well, imparting their sweetness without overpowering the flavour of the milk which is the star. Sometimes a pinch of cardamom powder or saffron is used, and the pudding is usually garnished with chopped nuts, but I agree with purists that this is not necessary as you don't want anything distracting from the wonderful taste of the reduced milk. Pulse the rice in a blender a few times to break it up. Do not grind it to a powder. If you are using a pressure cooker, put the lid and the whistle on. Cook on medium heat until one whistle. As soon as the whistle goes, switch the heat on to low for about 10 more minutes and then switch off the flame. Once you have switched off the heat, leave it on the stove until all the steam has gone. Once all the steam has gone, open the pressure cooker and taste. If you want you can add more sugar now. Stir the payasam occasionally on med-low flame (with the lid off) to thicken it more to your liking. Keeps well in a lidded container in the fridge for a few days. Make sure it has cooled before keeping in the fridge. The taste of this payasam is rich and luxurious and I was craving it for days after it was all over. You might think that 1/4 cup of rice is not much but it really bulks up, absorbing the milk and you really don't want to add more. Even if you are a cardamom freak like me, and be tempted to add some or other spices- don't. Let the reduced milk flavor shine through! That was a lovely read Rose, ur words beautifully describes all the fun. I was imaging 4 wonderful ladies pushing 4 strollers in the crowd. Best wishes with ur new job!!!! Aw, such a lovely post Rose. You have written it so well and we girls must do this often. I so want to take the ferry next time. And carrot payasam looks so creamy and love the mild orange hue in the bowl. Yum! Thank you sweetie :) YES we MUST do this more often! Looks like you all had a fab tim, i do agree it is much better enjoyable when you are with like minde friends. Thank you Nisha I really appreciate your comments on my pics.Have lots to learn and you are very encouraging :) Do feel free to be critical so I will know what I am doing wrong! 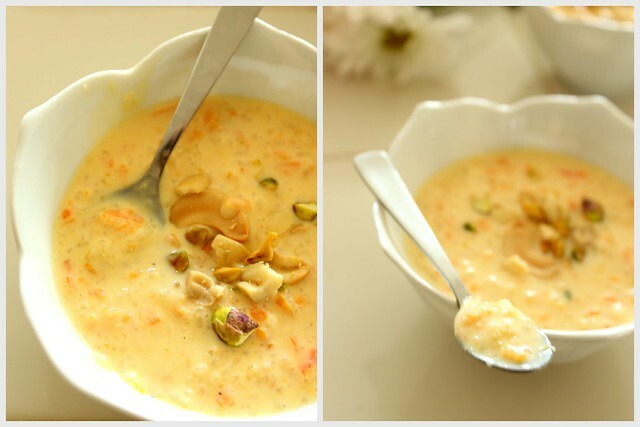 Seems you guys had loads of fun..Carrot pal payasam looks irresistible and quite addictive..
Lovely post Rose. Great to meet you. Hope to do more often. Thanks Archana it was nice to meet you and your little cutie too the other day.Hope he is doing fine. Looks like all of you'll bought some carrots. Lovely payasam Rose, I would love to try this, bored of the usual one. Btw, where did you catch the ferry from, I've been wanting to take Anushka for a ride for so long and I would love to join you guys the next time. 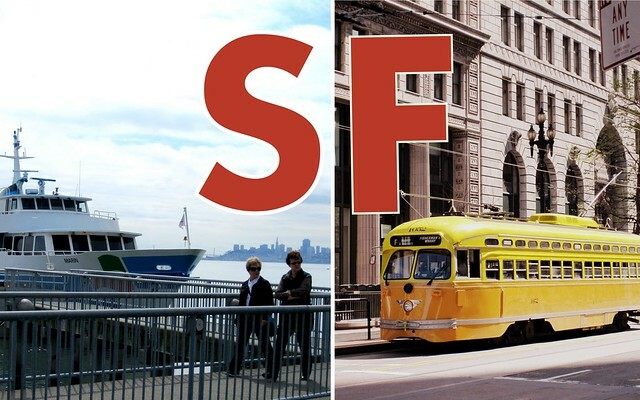 The ferry is good fun am sure your daughter will love it.You can take a trip on it from the ferry building. If you want to take public transport here google maps is a great tool. Wow Rose!Superbly shot pictures..simply wow! Hey..Am quite surprised that I never stopped by before..Great space and glad to be a new follower...Female bonding and that too with fellow bloggers would have been an awesome experience! Were you in my hostel by any chance coz the exact prawns pickle incident happened at ours too and how I miss those days..Adding basmati rice to carrot payasam is a different take to it. Must have been yum for sure.. The payasam is unique and lovely! For a carrot lover like me, this would be heaven... managing a little baby and working from home is quite a feat! kudos to u... good to read about ur day out!!! Thanks Sarah! Wish I could send some to you :)But it's really easy to make so do try it yourself:) Hope your little one is keeping you on your toes ms fab mom/working girl/chef/blogger whew! Love that gorgeous color! so pretty and gorgeous clicks! Please do drop by the Auction fundraiser to help VSPCA,India on my blog, to bid or share. Shipping is available in US, India, and some international. They are an amazing org working to rescue all animals, provide permanent sanctuary tot hem and also help feed the poor, esp seniors and children. The payasam looks lovely, superb..Loved the write..! All your recipes look amazing ! thanks for the lovely blog ;-) ... and your recipes are great inspiration !!!! Merci, j'ai cherché des informations sur ce sujet depuis des lustres et le vôtre est le meilleur que j'ai trouvé à ce jour. i lerni multe el it.i estas trovi ĉi blogo ĉiu day.today i aspektas ĝi. dankon por via blogo. Gosh this post is so delicious. Delectable dessert and love the photos especially of the peeled raw carrot! So I show them a video of myself getting paid over $500 for filling paid surveys.